We had more fun weather yesterday. 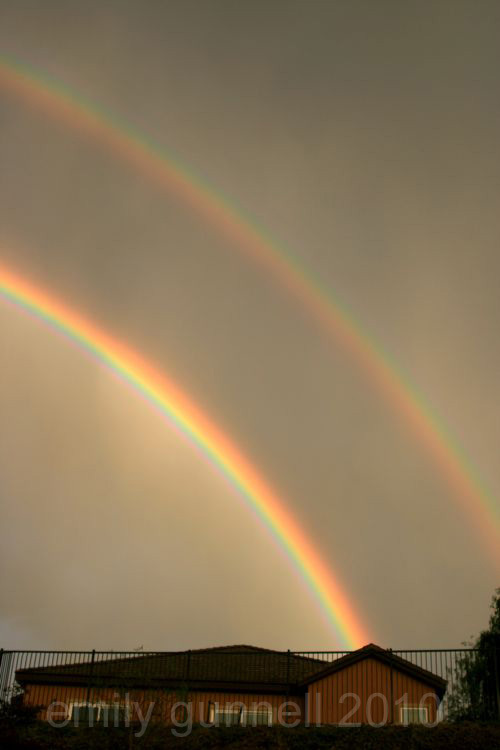 There was wind, some rain and this fabulous double rainbow! It was also the first time I baked cupcakes in my kitchen! Oh, the beauty of double ovens! 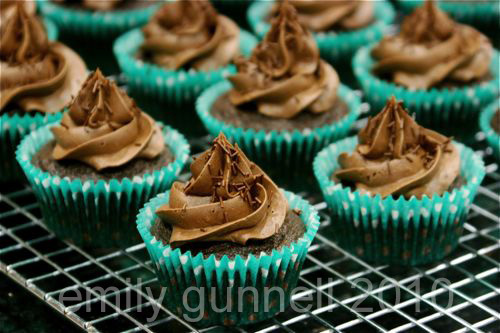 And oh, the beauty of chocolate buttermilk cupcakes with chocolate buttercream frosting! Those cupcakes looks too pretty to eat! oh YUM!! wish i had that recipe! enjoy!